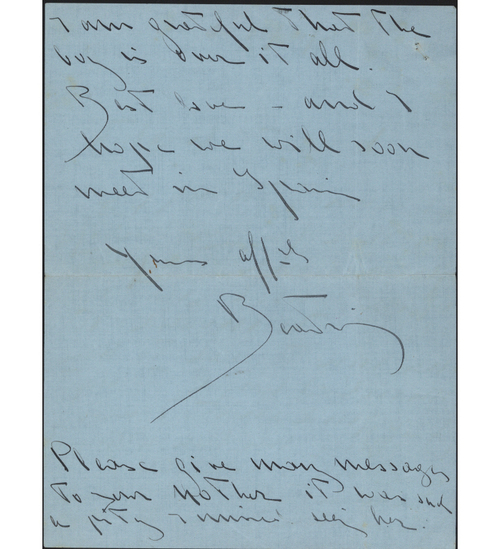 Autograph Letter Signed, to ‘Dearest Elizabeth’, thanking her for the flowers and the fruit, hoping to meet in Spain, etc. 2 pp. 8 x 6 inches, pin hole, otherwise good. Grosvenor Hotel, London, 14 December 1929. Infanta Beatriz of Spain, Princess di Civitella-Cesi (Doña Beatriz Isabel Federica Alfonsa Eugenia Cristina María Teresa Bienvenida Ladislàa de Borbón y Battenberg) (22 June 1909 – 22 November 2002) was a daughter of King Alfonso XIII of Spain and Victoria Eugenie of Battenberg.